I confess that I put off reading The Signature of All Things, even though a number of good friends recommended it highly to me. 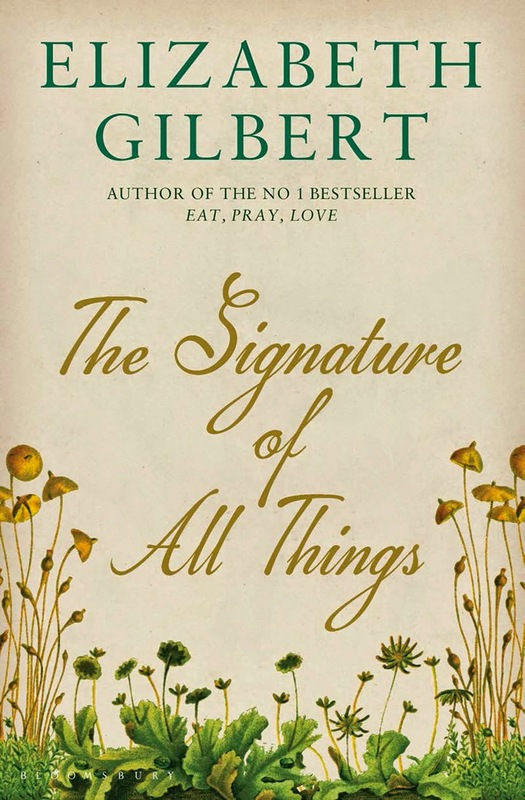 The main reason was a snobbish attitude I developed towards Gilbert after my experience with Eat, Pray, Love. I simply couldn't read it. I thought the writing was awful & pedestrian & self-indulgent. I was very surprised to hear that she wrote historical fiction, but didn't feel confident that her style would suit me even in one of my favourite genres. But last week I read and adored My Ántonia. I was in historical fiction heaven and felt at a loss when I was finished. The Signature of All Things was the closest historical fiction book to hand when I was ready to start again. And I fell into like a warm bath after a physically tiring day. It was blissful. I loved meeting a fictional Joseph Banks and seeing young Henry make his way in the world. I was fascinated by Alma and her story of growing up in Philadelphia. There were so many lush details - botanical, personal, historical & cultural. I could barely put the book down. I will rave about how good this book is to anyone who will listen, but I do so with one small reservation. The trouble is, I can't quite work out what that reservation is. Halfway through the story (about the time that Ambrose makes his appearance) something went a little off kilter. I still raced through, devouring the story, but suddenly I found myself doubting how much I was enjoying the book. A little bit of scepticism crept in, maybe even a little bit of cynicism? Perhaps I became aware of the writer & felt a little bit manipulated at times? Not enough to stop, but just enough to make me cautious. Just enough to hold me back from an OTT rave review! The Signature of All Things is truly a glorious, epic, engrossing story. It would make a wonderful holiday read or gift for lovers of historical fiction. I'm glad I finally got over my snobbery - I suspect this book will change a lot people's minds about Elizabeth Gilbert. The audio version of this book was fabulous (one of my favorites last year), but I almost missed it because of my strong dislike of Eat, Pray, Love. So glad we both caved in and enjoyed it. Joseph Banks was such an interesting person. That alone makes this one sound very good. Based on your commentary it sounds really good in a lot of other ways. I also couldn't read Eat Pray Love, but was curious about this book because I read so many good reviews. So good to know that maybe I will change my mind about Elizabeth Gilbert too.